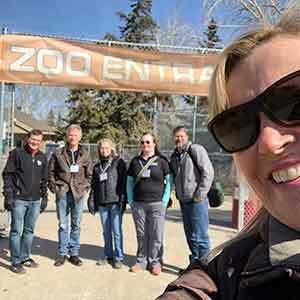 On Thursday, March 28, K-9 teachers from the DLC met up with 21 of their students in Saskatoon in order to connect through conversation, fun activities and learning opportunities related to curriculum. 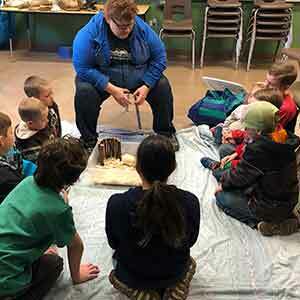 The first stop was the Saskatoon Forestry Farm Park & Zoo, where younger students had the opportunity to learn about habitats, while older students learned about animal adaptations. 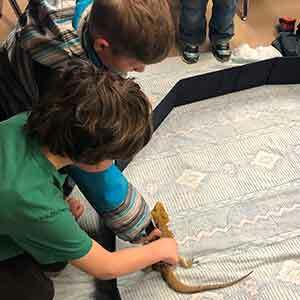 Highlights of the morning included petting and feeding some of the animals – there were porcupines, salamanders, a bearded dragon, and a ferret. 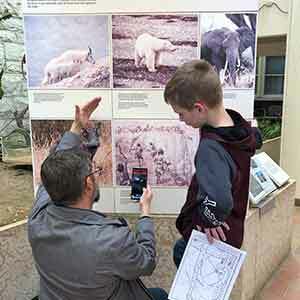 Following this, families and teachers were able to take some time to enjoy the zoo and have lunch. 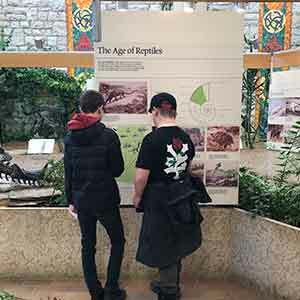 The next stop was an afternoon at the University of Saskatchewan Museum Of Natural History, where students participated in a scavenger hunt while learning about dinosaurs, fish, minerals, plants, and different animals over time. Some of the students also had a chance to try out the Foldscopes with Mr. Stinson. 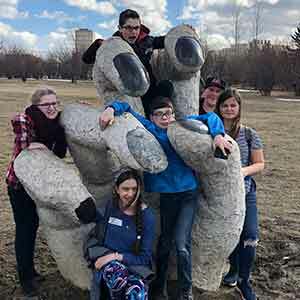 The day ended with a walk on campus to explore the art sculptures on the riverbank. Both teachers and students had a terrific day. It was a great opportunity for DLC students to spend some valuable time with their peers and get to know their teachers face to face.